Standard - $20.99 Only 2 left! So, Christmastime is here. Well, at least it's about to be. That is why you're shopping after all! You're probably looking for a little costume flair to liven up the typical Christmas festivities and let us assure you, you've found the right spot. And this is the right item! 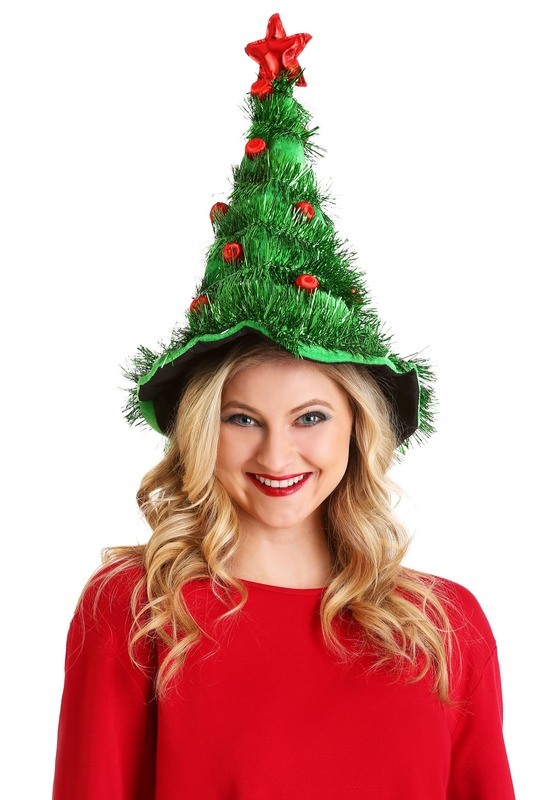 This Light-Up Christmas Tree Hat is probably the peak way to celebrate Christmas. Because it takes all of our favorite X-Mas things and puts it on your head! That's right, this foam hat has garland, balls and a foam star. Best part of all, it lights up to fully recreate a mini decorated tree. This hat is designed as a foam point top hat. In one size to fit most adults, it has attached strips of tinsel garland to recreate a Christmas tree, complete with decorative balls and a soft-sculpted star at the top. Light-up red bulbs produce a glowing effect, and it's powered with a simple battery pack that slips into a pocket inside the hat. Costumes might not be the first thing that comes to mind when you start thinking about Christmas, but we think it should be! From Santa Costumes to reindeer and elves, we've got the holidays covered with fun and unique costume styles. Shop our entire selection to make sure you see all the top-selling items!